Here is a modern classic, perfect for printing your corporate logo or promotional message. 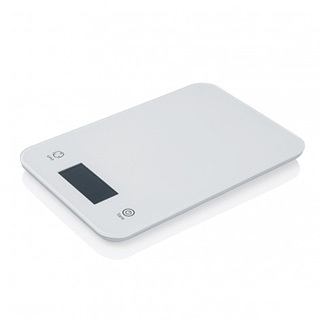 This professional quality LCD display scale weighs in 1g increments in the metric scale, rendered in both grams or kilograms, as well as in pounds or ounces in the imperial scale. Limit 5.2kg / 180oz / 11.5lb.